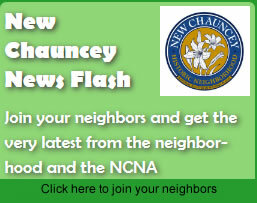 New Chauncey’s Lincoln Park in West Lafayette, Indiana is the site of many NCNA events including the annual picnic and our Annual Halloween Parade. Lincoln Park is located on the south side of Lincoln Street in the middle of the block between Robinson and Rose Streets. 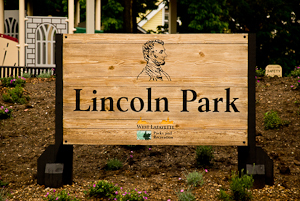 Lincoln Park sign welcomes visitors of all ages. Lincoln Park was dedicated by the City of West Lafayette in 2007. Here are some photos of the park as it was being built and a link to Lincoln Park’s sister Paula R. Woods Park.